Desc: Landstrom's Black Hills Gold rose blossom necklace. 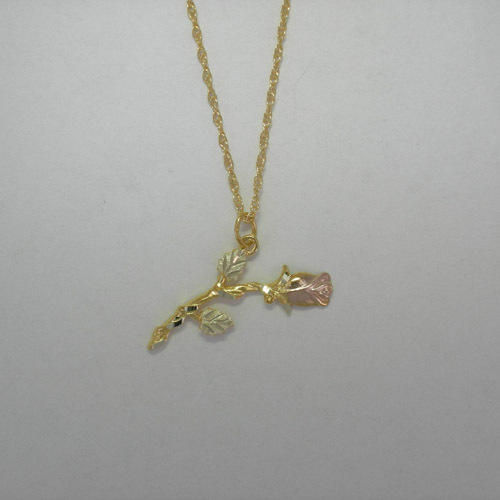 The rose blossom pendant is fashioned from yellow, rose and green gold. The stem is fashioned from yellow gold. The rose blossom is fashioned from rose gold. The leaves are fashioned from green gold. The necklace has textured and bright polish finishes. This necklace is made in the United States of America.